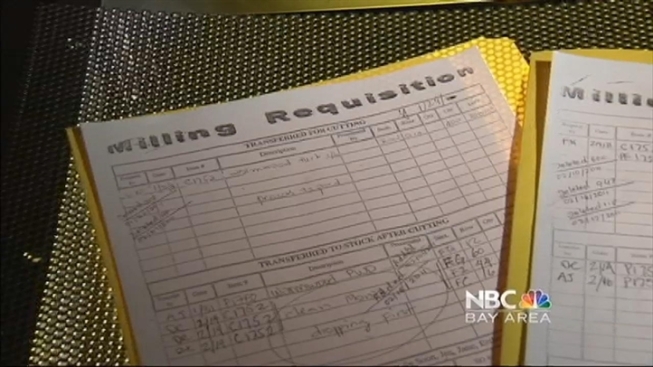 An East Bay Food distributor remains closed following an exclusive NBC Bay Area News investigation. The California Department of Public Health shut down Fremont-based San Francisco Herb and Natural Food Company on July 11 because of a “massive” rodent infestation. Now the state says that details uncovered in an NBC Bay Area News report may lead to criminal charges. Our report will Friday night at 11 p.m. on NBC Bay Area. NBC Bay Area Chief Investigator Tony Kovaleski told the CDPH Food Safety Chief Patrick Kennelly that sources claim owners of the company told them to repackage contaminated product and sell it consumers. “Have you confirmed that?” Kovaleski asked. According to the state, that would violate health and safety code 110620. The code says that “it is unlawful for any person to manufacture, sell, deliver, hold or offer for sale any food that is adulterated.” Each violation is a misdemeanor. “It is very concerning that we would actually have people in the food industry that would actually engage in this type of practice,” Kennelly said. Kennelly said that closing down a facility for more than a month is unusual. “It speaks to the magnitude of the problem in the facility, the level of product contamination and the level of rodent infestation in the plant,” Kennelly said. He said the state will make a final decision on whether to recommend criminal charges at the end of its investigation. The statement also says the owners were not aware of the scope or impact of the problem. And, the company says it believed it was following all federal regulations regarding the sifting of foreign debris, such as animal contamination, from its spices and herbs. The owners say they do plan to re-open their business. Click here to read the entire statement from the company. Click here to read and watch the original reports.